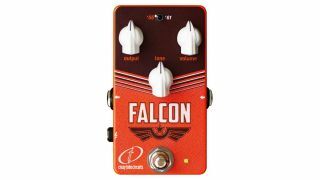 Crazy Tube Circuits has announced the Falcon, which the Athens effects co reckons can capture ’55 tweed and ’61 ‘brownface’ amp tones, utilising JFET technology. A toggle switch goes between the two modes: ’61 has a lower gain, while ’55 promises more grit and low-end ‘oomph’, as well as increased sag and compression. 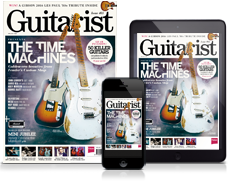 As per the original amps, the volume control adjusts the overall gain, while output tweaks volume; the tone control can be used to smooth out tone below halfway or boost upper frequencies at higher settings. The Falcon is available now for €169 - see Crazy Tube Circuits for more info.